Brimar trims are ever-evolving. Big Sky is proof of that! This innovative collection introduces a never-before-seen trim construction using hair-on hide. 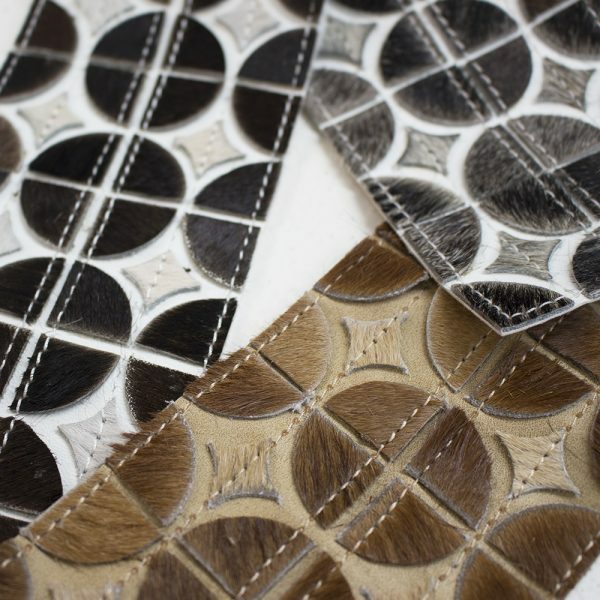 We've selected the finest natural hides to create unique decorative tapes featuring a contemporary circle-diamond pattern. The tapes provide natural and textural beauty in earthy tones. When cleverly placed on upholstery, pillows, heavy-weight draperies and accessories, the impactful tapes rally eye appeal. Big Sky goes beyond embellishing country dwellings. Pieces fit perfectly within the confines of urban interiors and contribute an element of surprise to spaces striving to be extraordinary.